[ezcol_2third] Gurgaon 12-11-2014: First Green Consulting and First Solar Jointly conducted a Webinar on Solar Plant Layout Strategies. For First Green Consulting, Solar is our passion and nothing makes it more rewarding than an overwhelming response to our webinars or to our any training program .We received 20 registrations which included people from various walks of Solar field. There were CEOs, Directors, Managers, Engineers, Professors and Students who registered with us. Webinar started at 3 p.m. The opening speech was delivered by Mr. Gaurav Sharma (Representing Firstgreen). He introduced organization corporate profile, speaker and shared the idea, how Firstgreen has conceived this webinar. 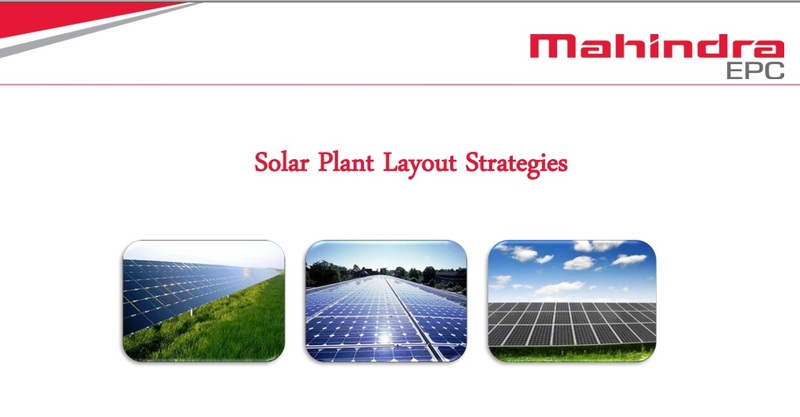 After that Dr. Sanjay Vashishtha took the charge and explained the importance of different layout strategies for the solar PV and how does it impact the performance of solar PV plant. Along with this, he also explained the basic structure of the solar PV plant and the core basics of solar PV design. Later on Mr Suhas Sutar,Head engineering,Mahindra EPC enlightened the different layout strategies.He explained the impact of Tilt angle as well as inter row spacing between the string of modules on the plant perrformance.With the help of different designs and animations he explained the effect of shading of different objects on the energy generation and hence the performance of solar PV plant.This session included lots of interaction of the participants.